Sometimes your veggies just need a little something to dive into to make them more desirable. Why not add some healthy fats with tahini while you're at it? Tahini is a paste made from ground sesame seeds. It is high in minerals and healthy fats too! 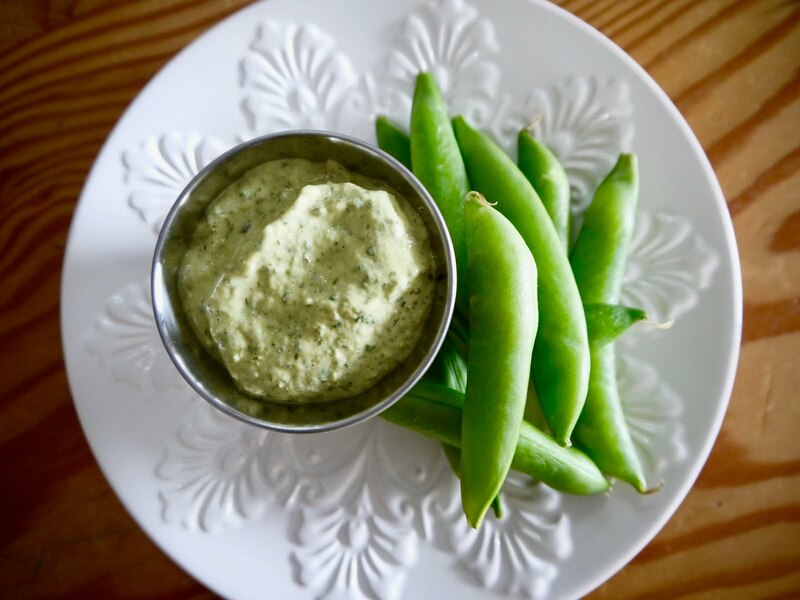 This green version is delicious and can be used as a dressing as well. Combine all ingredients in a large food processor, pureeing until smooth. Store in an airtight container in the refrigerator for 2 hours prior to serving.